The Headless Chicken Games Team Adventures! Hello guys! This is Mariela, and I want to talk about what we have been doing for the past months on the art of “Pause Play Stop”. 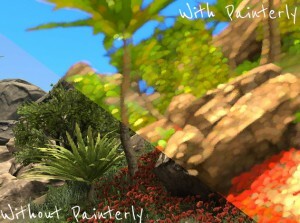 When I joined Headless Chicken Games, the team had a prototype of the game with a filter on its texture called Painterly from the Unity Asset Store. The prototype was not bad at all, but the team wasn’t satisfied with the look of the texture. Previously they wanted an artistic finish, but it can only be achieved by treating the texture directly. So, after some discussions, we decided to rethink the concept art of the game to define an unique and attractive style based on a handmade appearance. One of our most important references was the animated video “Now you know it anyway (Nu ken je het toch al)” by the Dutch studio Polder Animation. The simplicity of its colors and the simplicity gained from using just a few colors called our attention. The process of “Firewatch”, a video game developed by Campo Santo, was very useful in molding our idea about the art and finally settle down into a style. 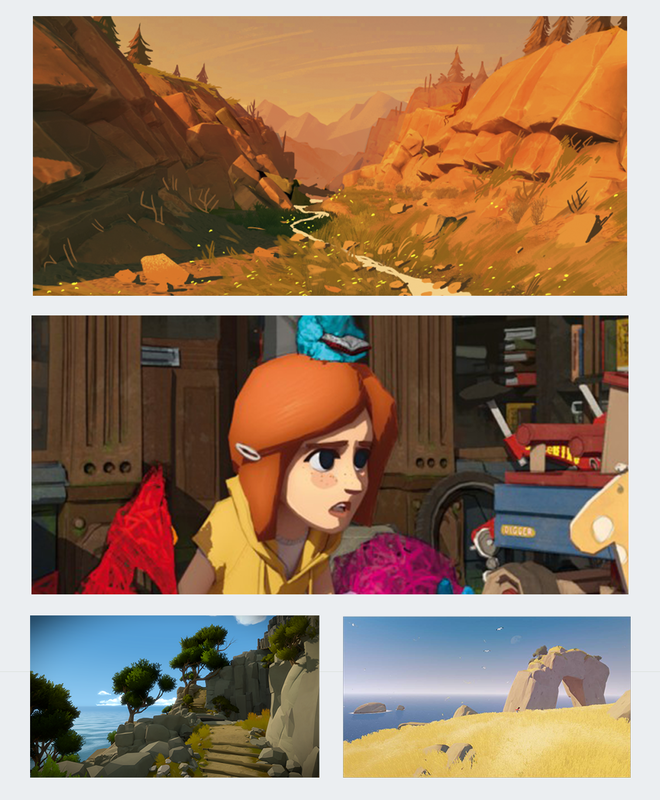 Other games like “Rime” developed by the studio Tequila Works and “The Witness” developing by Thekla Inc. Games were an inspiration for us too, both to be released on PlayStation 4. Screenshots of References. Top: “Firewatch”. Center: “Now you know it anyway (Nu ken je het toch al)”. Bottom Left: “The Witness”. Bottom Right: “Rime”. Despite all this, we wanted our OWN artistic style, not a playback. We wanted color, we wanted brush strokes, we wanted a warm and nostalgic aura. So, at this point the next step forward was: How do we do this? So, let’s make a re-count here. We discovered that we have to use, at most, three shades for our colors. We started to practice this on new scenes and new points of views. The original texture was very meticulous and all assets had the same look, no matter if they were in front or in the background. That’s why we work on the level of details of some trees and rocks, doing this by drawing them manually and applying a cutout filter. 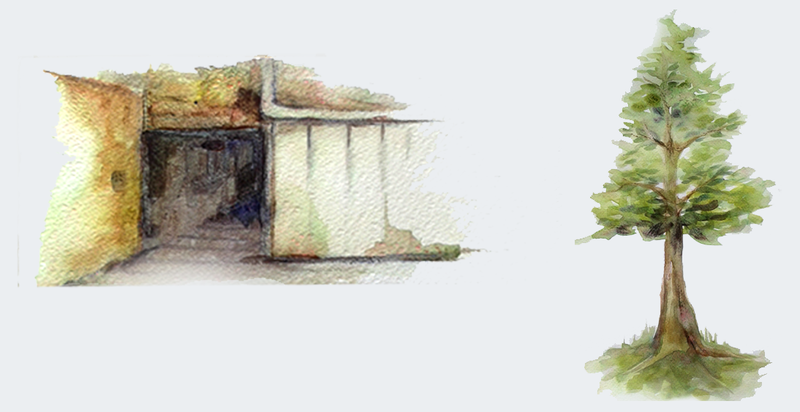 Our most important target was to simplify the texture, and then define the level of details that we wanted. 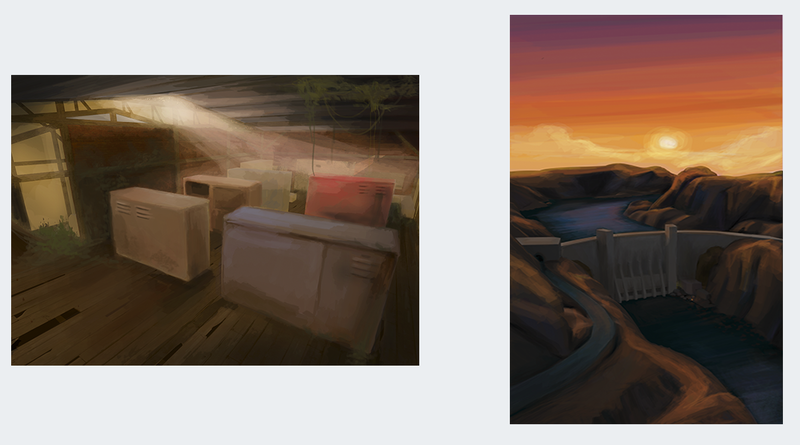 Parallel to this, we also wanted a brushwork on our texture, so we tested by painting some assets and scenes using watercolor. This gave us interesting results, but implementation of the texture to the 3D models was very tedious. Finally, we began to make scenes with tones like we did on our first attempt, achieving good results by adjusting the ambient light. At this moment, we felt it was time to start with the testing stage, and it is precisely what we’re working on now. There’s still a lot of work to do, but at least we know what we want and know how to do it. All this process has been about solving problems and building the art we want with the tools we have, we hope this will be useful for others developers in the same situation. You can write to us any time if you have more questions and maybe we can help each other. Cheers! Headless Chicken Games is an indie game studio based in Costa Rica, composed of passionate and talented individuals with an international background. We are currently at work on our debut commercial project, Pause Play Stop. Want to find out more about Headless Chicken Games? Subscribe now to get the latest news about the best games in Costa Rica.